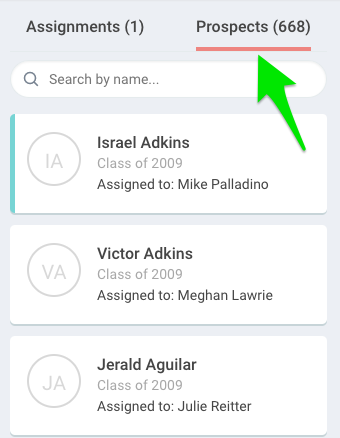 At the pool level, if you you'd like to allow volunteers to self-select and assign their own prospects when given a set to choose from, you can easily do so in Pool Settings. Enabling self-assignment means that a volunteer in that pool can browse through all prospects within the pool. When browsing through prospects, the volunteer will only see limited information, e.g. giving information is unavailable. Once assigned to them, the full prospect profile becomes available and the volunteer is given the ability to enter notes and record actions for that prospect. If the prospect is already assigned to another volunteer, the user will be unable to "steal" the prospect and re-assign it to him/herself. If a prospect is unassigned, they are up for grabs and the volunteer can choose to assign it to him/herself. Additionally, if they have a prospect in their pool that they don't feel is a good fit, they can remove that assignment. 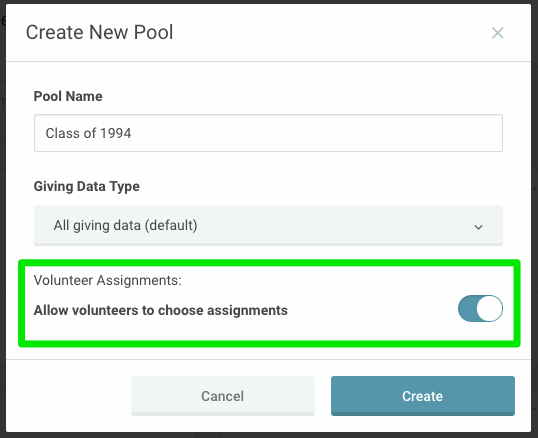 When creating a pool, you'll see an option to "Allow volunteers to choose assignments" - toggle this feature on to allow self-assignment. 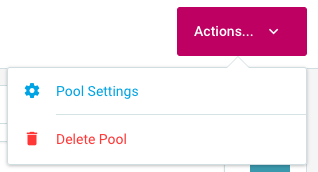 If the pool has already been created, open the pool and use the Actions button in the upper-right corner to find "Pool Settings." Here you can turn on "Allow volunteers to choose assignments."